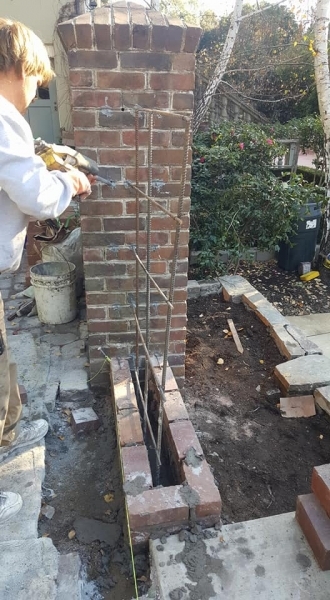 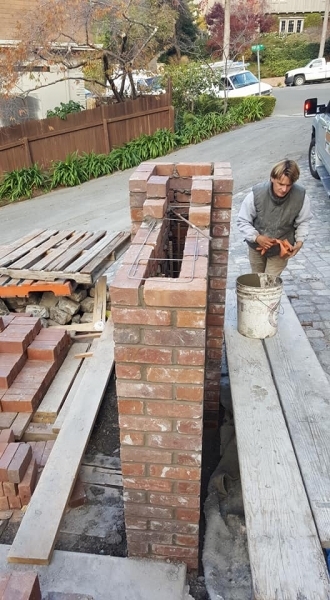 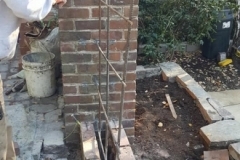 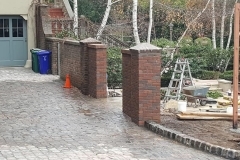 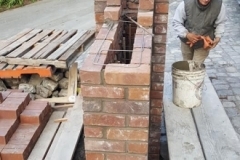 Piedmont Brick Wall - Masonry Specialists Inc. 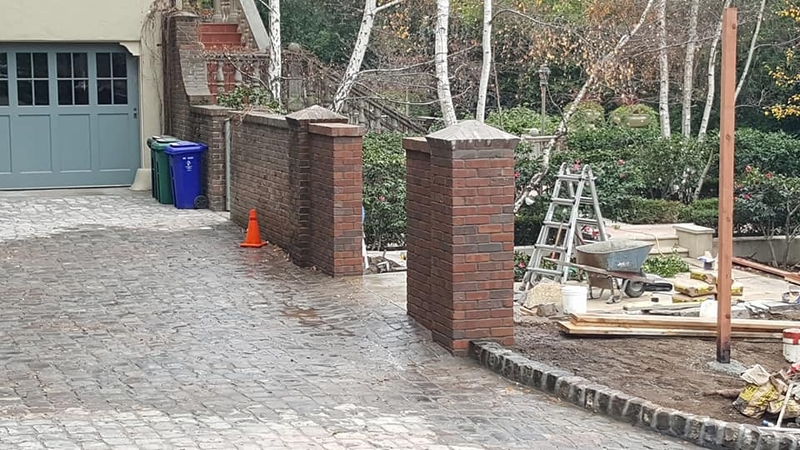 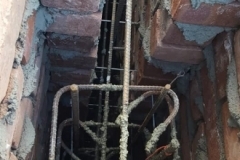 Matching existing brickwork whenever possible is a point of pride at International Masonry Specialists. 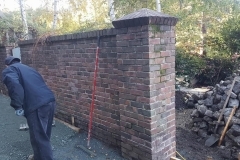 Expanding this stately wall to match perfectly required proper sourcing of materials and an expert mason's eye. 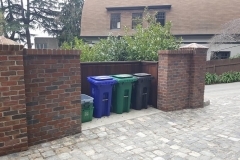 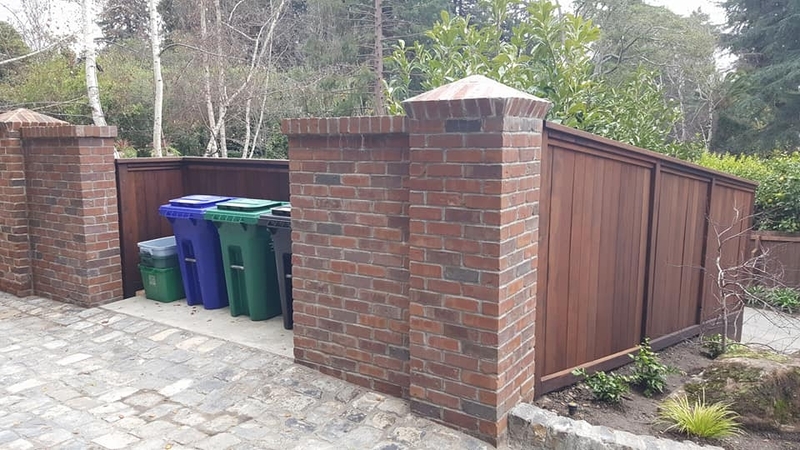 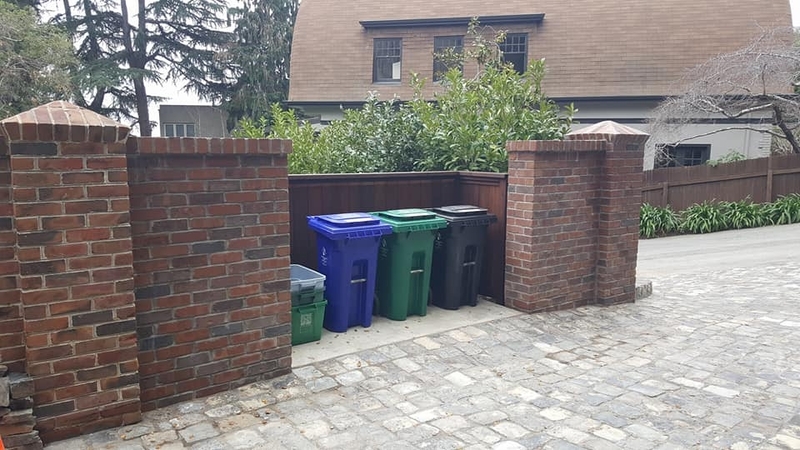 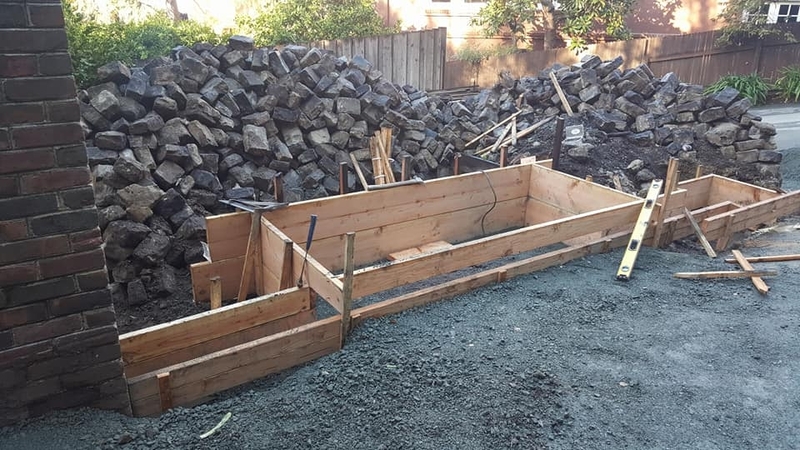 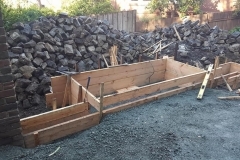 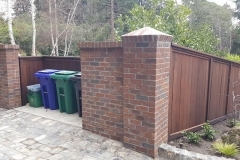 The resulting wall and storage space for waste and recycling bins added beauty and utility to the property and looks like it's been there for years. 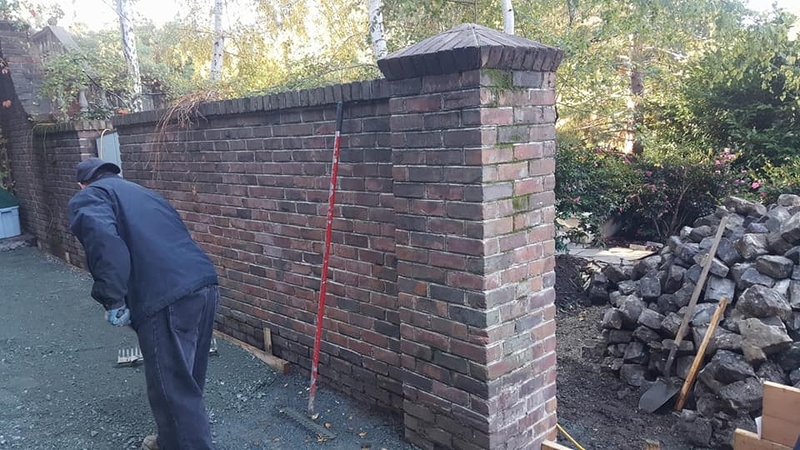 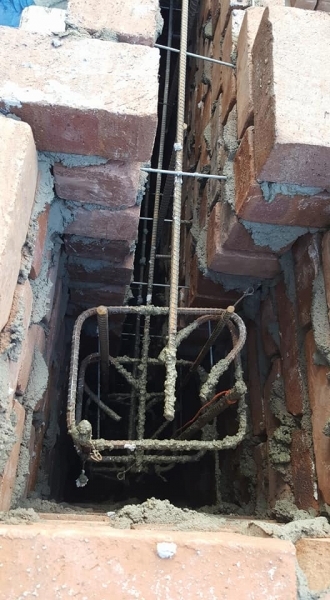 We're happy to stop by your property to evaluate your masonry needs.